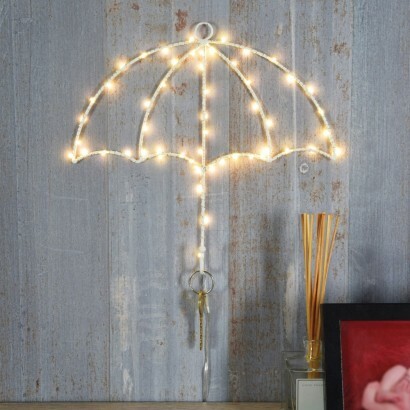 A sweet decoration for hallways and more this wire umbrella is illuminated with warm white LEDs to give a soft, welcoming glow! 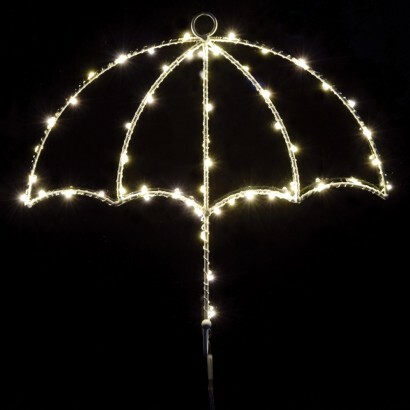 Come rain or shine, this decorative umbrella won't fail to brighten your day, and better still the handle of the umbrella is hooked so that you can hang your keys! 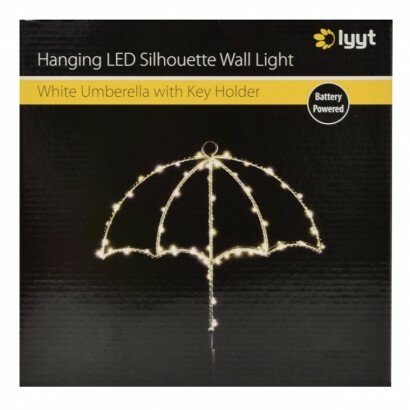 Perfect for busy homes, this hanging wall light adds character to your space illuminating your home with a beautiful warm glow.